The Guild Season 2 Episode 1 now available !! For anyone who likes MMO’s or quirky independent comedy The Guild should not be missed. Felicia Day writes and stars in this web comedy about the real life adventures of an MMO guild. The first season now available on DVD or Youtube video introduced us to Codex (Felicia Day), Zaboo (Sandeep Parikh), Vork(Jeff Lewis), Tinkerballa(Amy Oduka), Clara(Robin Thornsen), and Bladezz(Vincent Caso). The interaction between the characters and their individual quirks is fantastic as they shed their in game masks to meet up and overcome some interesting challenges. Each character is a bit over the top but while watching you can always have the feeling, I know someone like that. 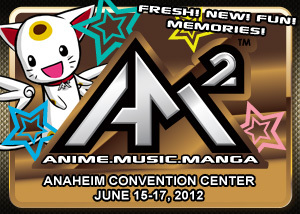 Season 2 is being released exclusively on MSN Video, XBOX Live and ZUNE marketplace. which makes it feel a little less indie and accessible than when they released on Youtube. However the video quality is definitely better and the writing is still fantastic I can’t wait to see the rest of the season. So go watch season 1 if you liked it get the DVD it comes with some extras that are definitely worth it. Well Blizzard has dropped another nice little gift for all its loyal WOW fans. Yesterday 11-23-08 was the 4 year anniversary of World of Warcraft. I logged in today to find a cute little gift in my mailbox. 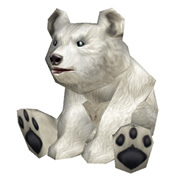 Baby Blizzard Bear is the cutest thing i have seen. I spent the first hour just running backwards so i could watch it scamper around Menethil harbor. I have heard you needed to log on on the 23rd in order to get one but i don’t remember doing so and it was in my mailbox. Plus it is a bind to account pet so you can send it to any of your characters. So go log in soon I hear there is also a Feat of Strength achievement. 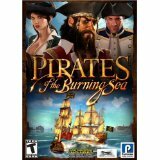 The MMO Pirates of the Burning Sea by Flying Lab Software and Sony online entertainment is a fun journey into 18th Century world of pirates. Three factions are fighting for control of the Caribbean and its lucrative wealth. English Spanish and French Factions give career options such as officer privateer and freetrader. The of course there are the Pirates carving a name out for themselves in history. Early in the game the missions play out like most MMOs however, due to the locations alot of these quests are instanced. I went through a few missions trying to locate where to find the bad guys only to discover that i had to go to the shipmaster and select the mission which went to a loading screen and then i found myself standing near the place i was but in combat. Hand to hand combat was a bit clunky, very much like most MMO’s and consisted of scripted moves depending on your skill level and combat style. Taking to the seas was something i looked forward to. The ships moved quite nicely between the different ports and though it did take a bit of time going from one port to another I was never bored. The animations of the ships and the great soundtrack really gave it a truly epic scale. Approaching an enemy ship would pull you into a combat mode that was truly the star of the game for me. You had to keep track of the wind in order to keep from becoming a sitting duck, since you have to be moving in order to bring your cannons to bear on the enemy. The different types of ammo available for the cannons also helped keep the combat fresh; do you pound on their hull with heavy shot or load bar or landrige and take out their sails and crew. The economy is a bit more daunting and like eve online is complicated but can allow your average player to really become a powerful character in the world. The graphics on land are mediocre most of the charachters look like plastic dolls (beware of very sharp looking facial hair). Occasional glitches in NPC movements, like carrying non existent barrels and stiff legged walking, removed some of the immersion. On the open sea and in combat you really did feel a nice sense of the scale of the battles. The soundtrack was one of the best parts of the game, really lending to the excitement and swashbuckling action. Hand to hand combat as well as conveying the scale and might of the great fighting ships added to the realism. I was a bit disturbed with the lack of players that were around. It seems as if this game’s heyday had come and gone which is a disappointment since the richness of the world feels like it could have been a really fun game for any pirate fan. Overall i think this game offers a richness and complexity that most other “easier to play” MMO’s like World of warcraft lack. Though casual players may be turned off by the learning curve players who enjoy a rich and complex experince will like this game. Hopefully it will be around to play for a while yet. Welcome to the newest edition of TME. This blog will provide all of us with ample room to rant and or rave about the wonderful world of the PC games out there! I know, there are so many different opinions out there regarding it all and what better way to cover them all than in this blog? Trust me, of all people I know about voicing opinions. I do it fairly often, and maybe sometimes more often than not. Regardless, here is a chance to show everyone else what we all think! We hope we are able to provide you with lots of ammunition to make the right choice, what ever it may be!